Kazakhstan produces around 22 tons of gold each year, a figure comparable to neighboring Kyrgyzstan (18 tons), but only a quarter of Uzbekistan’s production (92 tons). Gold is not a major feature of Kazakhstan’s mining industry, which is dominated by chromium, copper, zinc, and uranium, but it is becoming a key asset for the country’s central bank. All of the gold produced in Kazakhstan for the last two years has been bought out by the central bank, both under the supervision of former chairman Grigori Marchenko and through the orders of his successor, Kairat Kelimbetov. 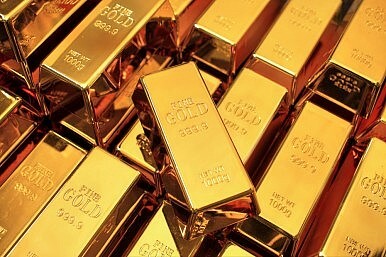 Albert Rau, Kazakhstan’s minister for investments, said that “given the turbulent global economy condition, the National [Central] Bank has been buying out all the fine gold produced.” The reason for this gold rush can be explained by a spiral of financial decisions by central banks across the world. Gold prices suffered a hit as the U.S. Federal Reserve (Fed) was rumored to increase rates this year for the first time in nearly a decade. Apart from short-term fluctuations, however, the precious metal is still priced at just below $1,300 per ounce. The eurozone instability and the Swiss franc’s decoupling from a single-currency peg have turned gold into a more palatable commodity for investors. Contextually, China, Russia, Belarus, Malaysia, Iran, Azerbaijan, and Kazakhstan have hoarded gold to diversify their portfolios and avoid excessive competition for the dollar that would only strengthen the greenback against their own currencies. Only countries that are financially stable – or that are trying to recover from shocks, like Russia and other oil-exporters – are in the market for gold. Financially weaker countries, such as Mozambique, Ukraine, and Tajikistan, had to reduce gold reserves to fuel their national economies. Conversely, with a strong rupee, India seems the only country in the ever-emerging Asian continent to have limited desire for gold. The country’s reserves remained unchanged last year and are poised to slowly diminish in the years ahead. China has become the world’s largest producer of gold, with around 14 percent of all nuggets mined worldwide. A strategy of retaining all domestically produced gold within its borders is a conservative policy that keeps large volumes of the precious metal away from the markets, therefore avoiding an inflated supply, which would inevitably lower the price per ounce. In addition, Chinese companies maintain strong interests in mining ventures abroad. Finally, and perhaps most importantly, wholesale demand for gold in China has been at record highs in the past two years, with gold withdrawn from the Shanghai Gold Exchange surpassing global production last December. Meanwhile, Russia was the largest buyer of gold last December. This measure to support the ailing ruble seems to have done little to mitigate the Russian currency’s nosedive. Kazakhstan, whose economy is closely tied to Russia’s, wishes to avoid the fate of its largest neighbor by following a policy of de-dollarization of the economy. By purchasing gold, the two countries try to steer clear of an excessive reliance on the U.S. currency and stabilize their own economies. Of late, the U.S. dollar has been gaining ground against most currencies and commodities. The U.S. dollar index has increased by 17 percent in the past twelve months and is set to continue this trend if the Fed embarks on a hike of interest rates later this year. Yet Gold has not followed other commodities, which generally lose value when the dollar appreciates, but has gained 3 percent in one year. With the ruble’s value against the dollar cut in half and Kazakhstan’s tenge 20 percent weaker, these Eurasian economies have a difficult task. Analysts have suggested that the dollar is not the sole cause of this agitation in emerging markets. The “quantitative easing” policy now being outlined by the European Central Bank is likely to further weaken the euro, which becomes even less tempting for emerging economies. For those capable of it, turning to gold can be seen as a rational move. One notable side effect is that the higher demand for bullion is driving prices up, thus contributing to the financial strategy of gold-buying central bankers. But the economic crisis in several hotspots across Europe and Asia will hit harder those who are unable to protect their budget, reserves, and currency. Russia's state-controlled push for innovation is widely discussed, but has had little real impact.